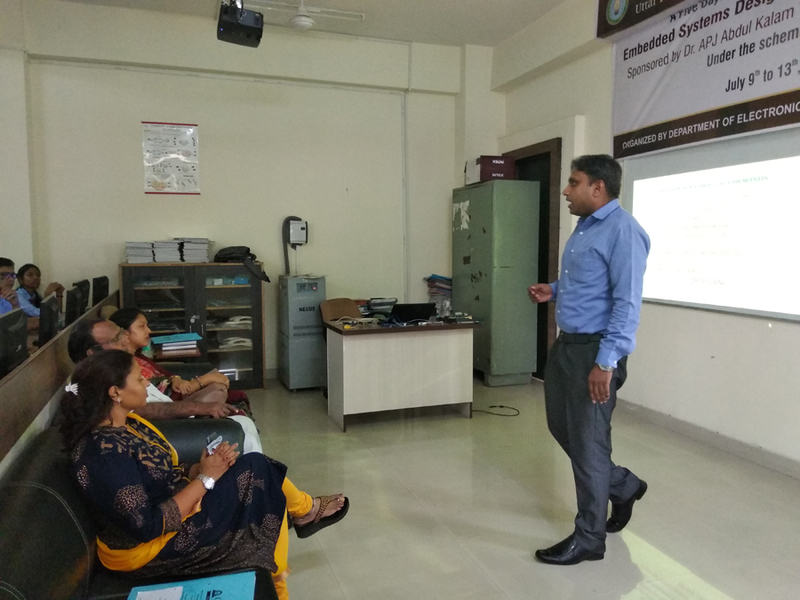 From 9th to 13th july 2018 A Faculty Development Program was sponsored by DR. A.P.J. 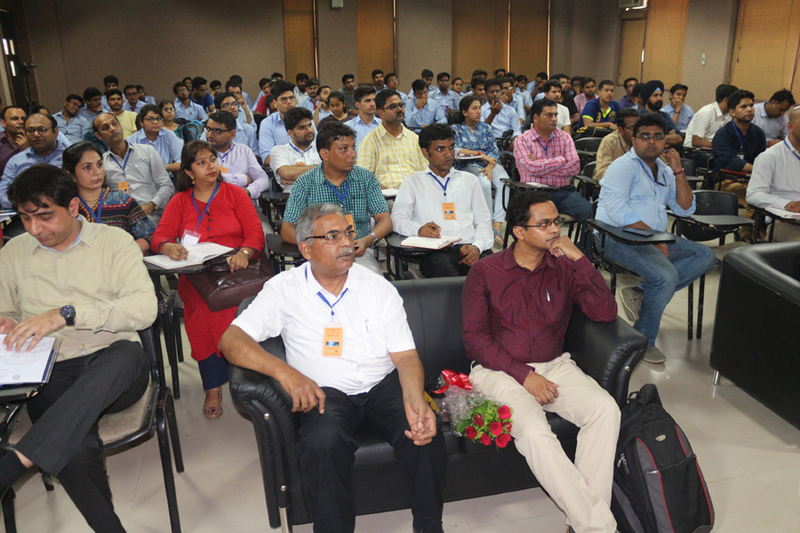 ABDUL KALAM TECHNICAL UNIVERSITY UTTAR PRADESH, LUCKNOW, was organized by ICEIT Student Chapter, Electronics and Communication Department of GLBITM,Gr.Noida. The aim of this course is to give a firm foundation in VLSI design and Embedded systems. The current scenario is, faculties at majority of the institutions are lacking application oriented knowledge, lack of exposure to the latest technologies and lack of expertise on VLSI tools usage and Embedded System Computational Capabilities. This is due to lack of proper ECO system between universities and industry. Rich experience of the eminent speakers at premier institutes (IITs, NITs, IIITs, DTU .etc.) and Industries (DRDO, CSIR, QUALLCOM, INTEL…etc.) will make the participants feel the difference. We focus on giving industry oriented training; with hands on real-world applications for IOT based Embedded Systems and VLSI tools. 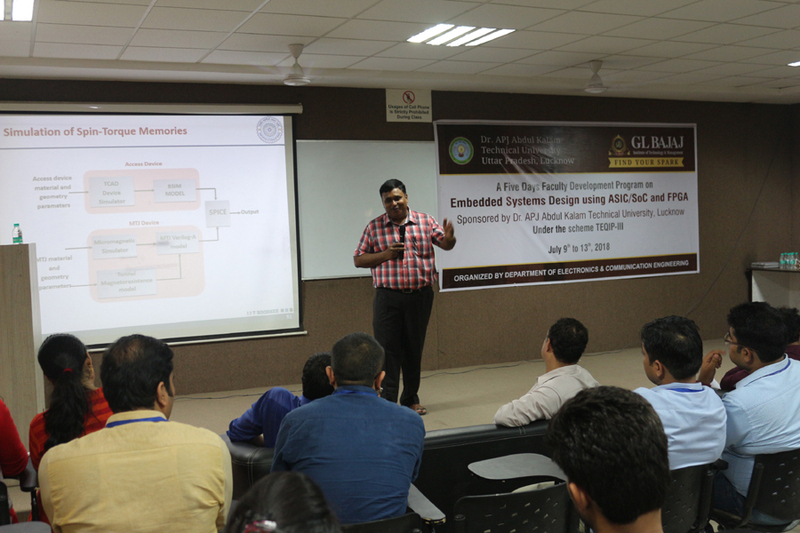 Nano Technology Design & Interconnection and Devices- Dr.B K Kaushik, IIT-Roorkee. 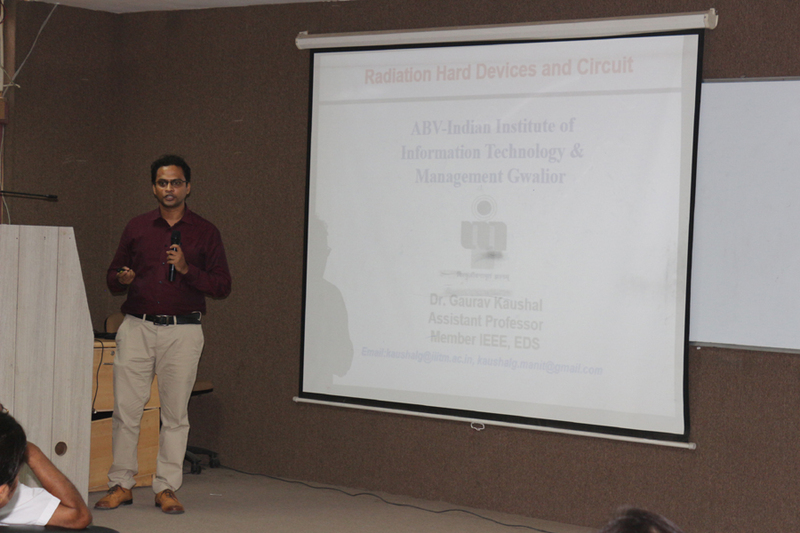 Radiation Hard Circuits (Digital/Analog)- Dr. G. Kaushal, ABVIIITM-Gwalior. 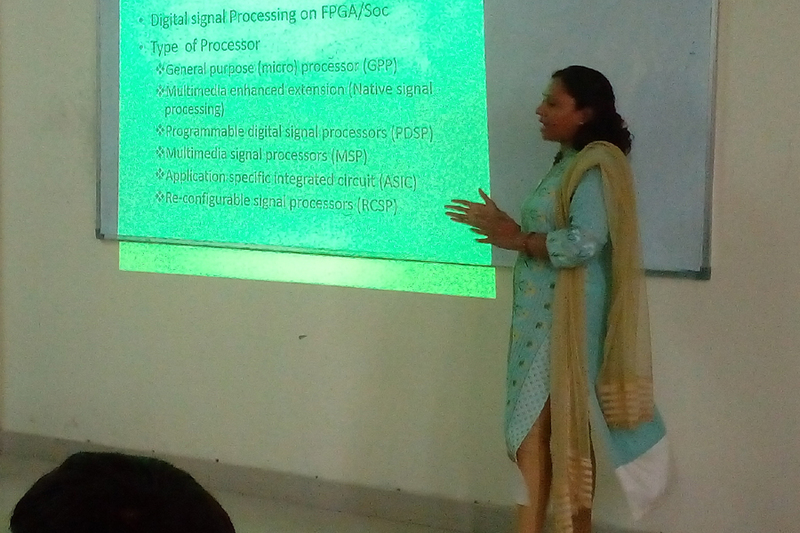 SOC flow overview on Validation - Ms.Seema Chauhan,NXP Semiconductor,Noida. 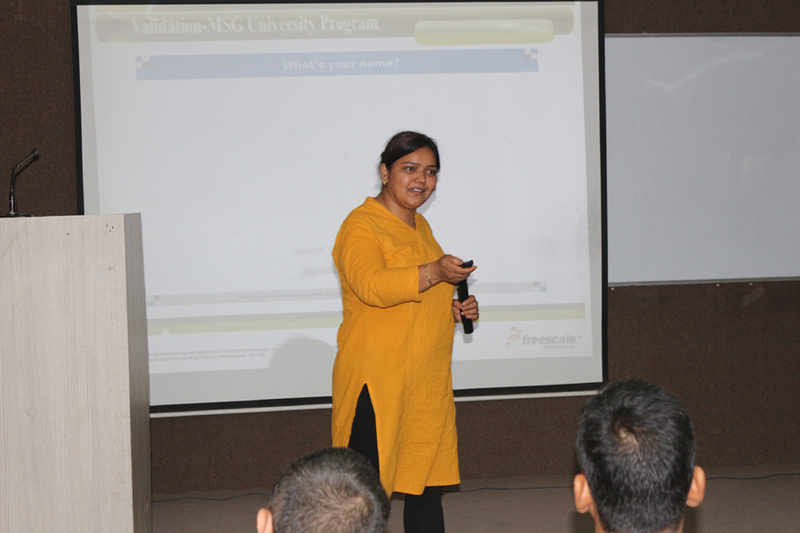 SOC for DSP: A Prespective - Dr.Amrita Rai,GLBITM,Greater Noida. Computer design & pattern recognition - Dr.D Vishwakarma, DTU-Delhi. 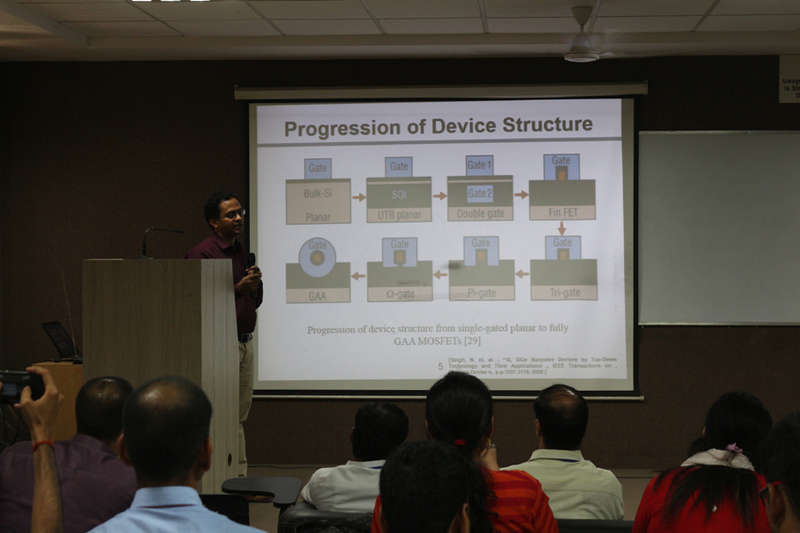 Hands-on Embedded System & Design - Mr. V Mishra, Tech. Aditya, GZB. 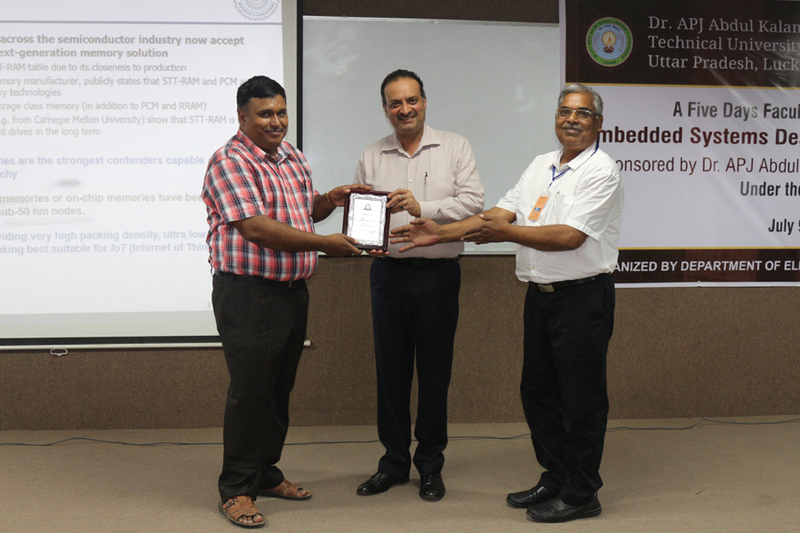 Embedded System Design & development and testing challenges - Prof. SPS Saini, CEERI-Pilani. Hands-on ES Development boards - Mr.Anish Saini, IOT Consultant & Trainer,FBD. 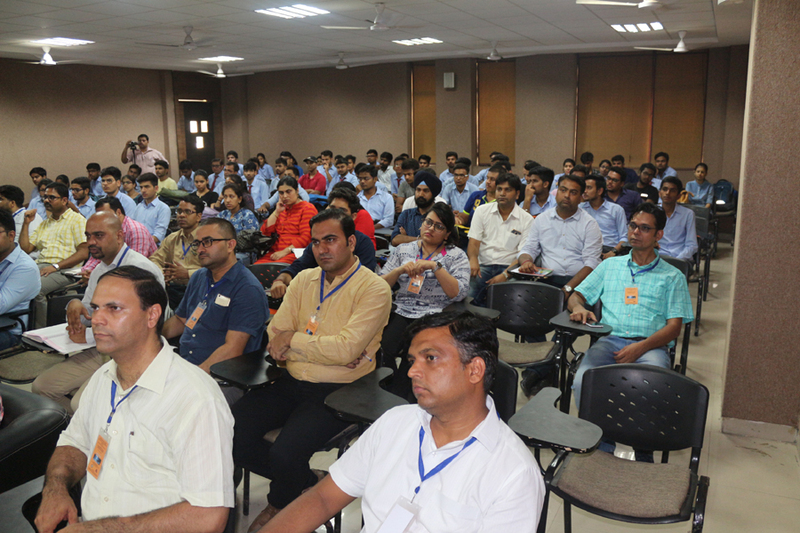 Circuit Simulations - Mr. S Bhatnagar, Dellsoft-Delhi. Hands-on Circuit Simulations - Mr. Shrawan kumar, Dellsoft-Delhi. Finally all the sessions was concluded with discussion of their topic and at the end of session there was an open discussion, were all could resolve their queries.